When I spoke to Charlie, he was in an airport waiting room, about to get on a flight to visit the factory where Oppo is made. Despite his hectic surroundings, Charlie couldn't have conducted the interview any more professionally (unlike myself, who was propped up in bed with my phone on speaker). 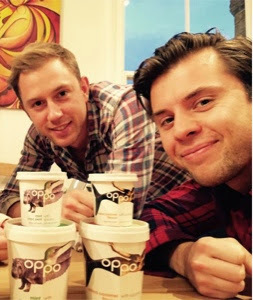 Charlie Thuillier, along with his brother Harry Thuillier, are the co-founders of healthy ice cream company Oppo, which according to Charlie, "is pronounced the same in every language". It's currently stocked in Waitorose, and is available to buy online with your Ocado food shop. Not too shabby, eh? Charlie is a fellow University of York alum, and decided to leave the corporate world at Diageo to follow his passion for healthy, tasty food that doesn't feel the need to throw in loads of crap (my words, not his). 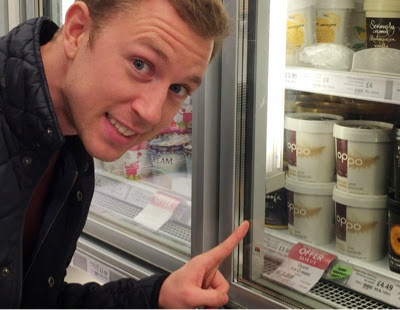 Essentially, he's a huge inspiration - the Willy Wonka of the healthy ice cream world - and that's why I wanted to interview him. What was the inspiration behind Oppo? Back in York I ran the Travel Society, and one of our trips was to Egypt to do windsurfing. After I had a taster of that, I decided that after I finished my final year, and before I knuckled down and got into a serious job, to windsurf in the windiest place in the world - Jeri, in Brazil. My brother and I decided to take the journey together. However, the distance between the airport in Natal and Jeri was 1000km, and there was no straight-forward way to get there. 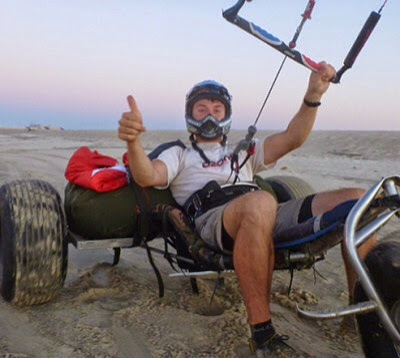 We'd seen something called kite buggying, and thought this would be a genius way to get there. But neither myself nor my brother, Harry, had kite surfed before. We hit a lot of obstacles. We were sponsored to make the trip, in spite of our lack of experience. But because of the equipment, we had to pack light. In fact, the only food we bought along was 24 cereal bars! Carrying the buggies, which weighed 75kg each, I was burning 8000 calories per day. The cereal bars weren't cutting it. Along the journey we got introduced to super fruits such as coconuts and acai berries which provided us with enough energy and the right nutrients to keep us going. It was a revelation, and the foods were a lot more healthy than cereal bars, which contained lots of processed ingredients. After spending 13 months at Diageo, I became obsessed with the idea of making the indulgent healthy. I wasn't sure on the product yet - the concept of ice cream wasn't part of the picture. But I left and started Oppo in December 2012. So it's taken nearly 2 and a half years to get to this point - it's been a long journey! It's taken a long time to develop a healthy ice cream that tastes like ice cream. It's like trying to build a house without bricks and making it look like a house! We've had a lot of support: government grants, a grant from the bank, lots of trips to factories, and labs, meetings with mentors and scientists. It got to a point where I only had £1.05 left in the bank! But we're now stocked in 118 Waitrose stores, including one in Guernsey. So I've developed the world's healthiest ice cream - it has no sugar, and 20% less calories than an apple! The only fat we use is wild harvested coconut oil from Ghana, and then we boost the ice cream with superfoods. And it does taste like ice cream. We're lucky enough to have already garnered some excellent reviews on Waitrose, and we've been featured in Waitrose magazine, Harpers and the Evening Standard. We won Innovative Product of the Year in 2014, and have been nominated for The Guardian Start-Up of the Year. 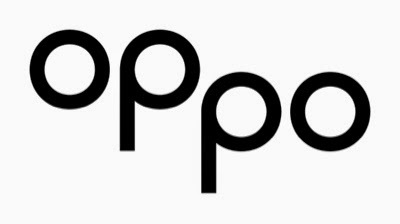 Where did the name "Oppo" originate? Oppo the name is supposed to represent the duality between health and indulgence (usually opposites). We've taken the best of both worlds that are usually totally separate, and incorporated them into our ice cream. What was your favourite ice cream flavour as a child? [with no hesistation] Mint choc chip. So of course we've developed an Oppo variant: Mint choc swirl with Spirulina . Do you think you'll ever tire of eating ice cream? Nope. And I eat it every single day! Do you come from a foodie background? Not really. I mean, I had my year at Diageo, which was drinks focused, but at York I studied Crime and Criminal Justice. I've always had a passion for nutrition, and I'm big into sports and health. I could never understand why we processed food so badly with sugar and unnecessary, artificial ingredients. With Oppo, the ingredients are obviously inspired by the growing interest in eating healthily/eat clean - where are your "super food" ingredients sourced? Our Coconut oil is from Ghana; we source Cacao from Peru. Spirulina is from China, and Baobab is from South Africa. 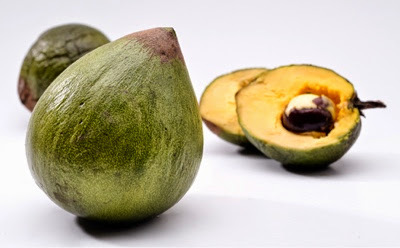 We have a salted caramel flavour of ice cream, and we use Lucuma, a fruit from Peru. It's fantastic - it's a fruit but it's tastes of caramel. And it's all natural. Lucuma - I can't believe it's not caramel! In the manufacturing process, did some of your more adventurous experiments fail? Flavours were never an issue - I was always at tastings for Diageo, for example wine tasting, so I have a good palette. It was the base of the ice cream which was the issue, and it needed to be consistent. We had to get the mouth feel and sweetness of ice cream, which is where the majority of our time was focused. We had to invest in £1000 of ice cream at a time, every time we visited the factory. Once a pipe burst in the factory, and there was 1000 litres of ice cream across the floor! So we'd have to pick ourselves and try again, time and time again. We've had our difficulties! What advice do you have to any aspiring entrepreneurs who want to make a mark in the food world? Be remarkable - your product is key, it's everything! You are nothing without a great product. That means you need to have a story, a background. Be so different, so incredible, that buyers come to you. It's so crucial to have a strong brand. Do you feel like your age has ever affected the way you're perceived in business? Are people ever intimidated by your age? Absolutely. I started Oppo at 23. I used my age to my advantage. I had no experience, no contacts, no money. But the benefit of that was that people saw me and wanted to help. Mark Escolme (who previously held high positions at Youngs, SC Johnson and now Gu Puds) believed in the product, came on board and invested. He's now a director at Oppo. You just need to ask the right questions, and people listen. Fill up that glass. Think positively about every scenario. In start-ups you have to see opportunity rather than risk, positives rather than failure. If you fail, you've learned. Otherwise, you won't want to continue. You're more likely to find new ventures if you keep a positive outlook. Have you had a moment when you feel like you've made it? No. I always have to handle a million and one things at a time. In the grand scheme of things we are tiny and insignificant. The implication of "making it" is that it sounds too money-grabbing. We're more about fun, finding opportunity. We have no plan to sell out in a few years! That's not to say we haven't had some awesome successes - making the product in the first place, for instance. I wouldn't let Mark [Escolme] try the product until it was finalised, and this was when he'd already invested. But when he did try the product, he said "Bloody hell - you've done it!" And that meant a heck of a lot to me, as he's such a huge figure in the business. We can also say we're the fastest food and drink company to meet our target through crowd-funding after reaching our target in a matter of minutes. What's the future of Oppo? The thing is, the ice cream market is boring - it's super dull! Current companies think that innovation equals a new flavour. It's a tweak, and tweaks are boring and don't count. We plan to introduce new flavours, but that's to be expected! We'd love to grow into other markets, but we want to take of UK first. I can't say much at the moment, but we'd like to develop different types of frozen categories. As a York alumni, where was your favourite watering hole? Argh I don't know... Where did you enjoy [I name a few of my former haunts, and Charlie is quite disgusted by them]. Hmmm, I guess, Guy Fawkes Pub (which does great roast dinners, too). For more information on Oppo ice cream and to find your nearest stockist, click here. And a huge thanks to Charlie Thuiller for taking the time to talk to me. I tasted some of this at the BBC Eat Well show at the weekend and it was amazing. It really tasted like ice cream (which sounds silly, but you know what I mean). I shall be stocking up at Waitrose and stuffing my face. Yum. The only thing I was left wondering after reading this is... What's actually in it?